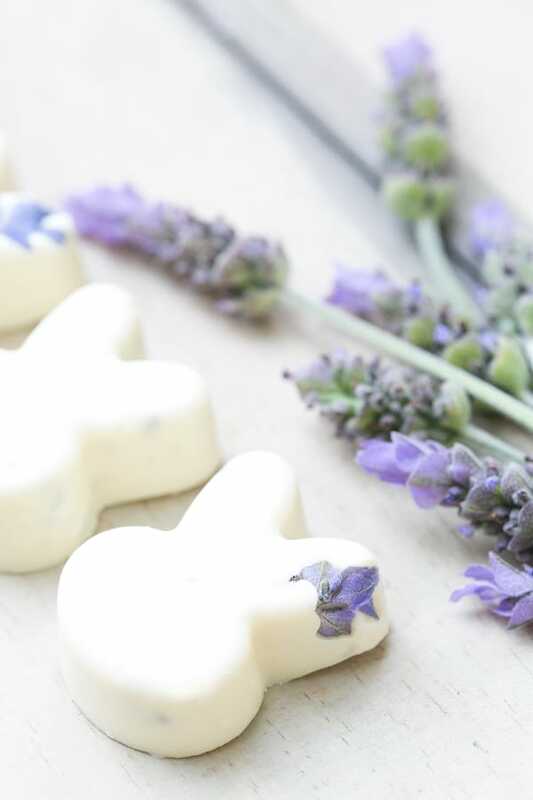 These are the projects we like to call “easy entertaining” because anyone can make these White Chocolate Lavender Bunnies in 3 simple steps! 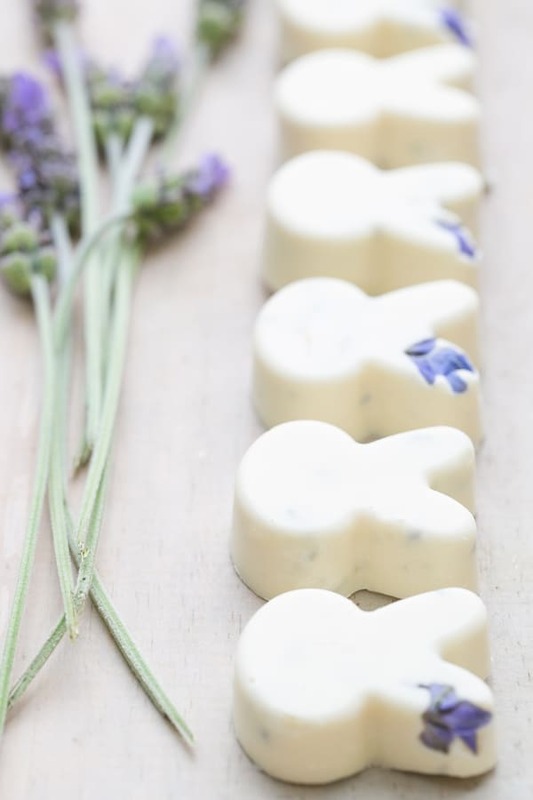 And for anyone who has a fondness of white chocolate, you’ll love the subtle flavor and smell of fresh lavender mixed in. Ready for the easy steps? Just melt about 8 ounces of good quality white chocolate in a double broiler. 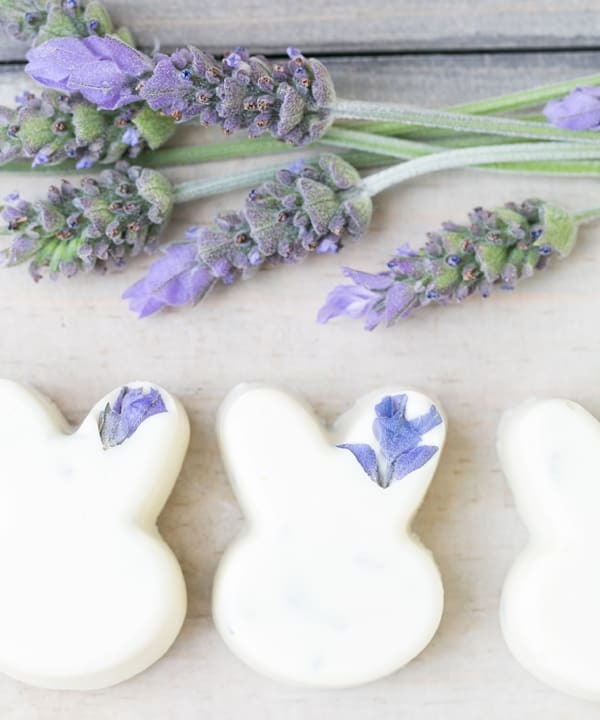 Add in 2-3 tablespoons of lavender which you can either buy at the store or use fresh by chopping the lavender flower. Then pour into this bunny mold and let it sit until it hardens! 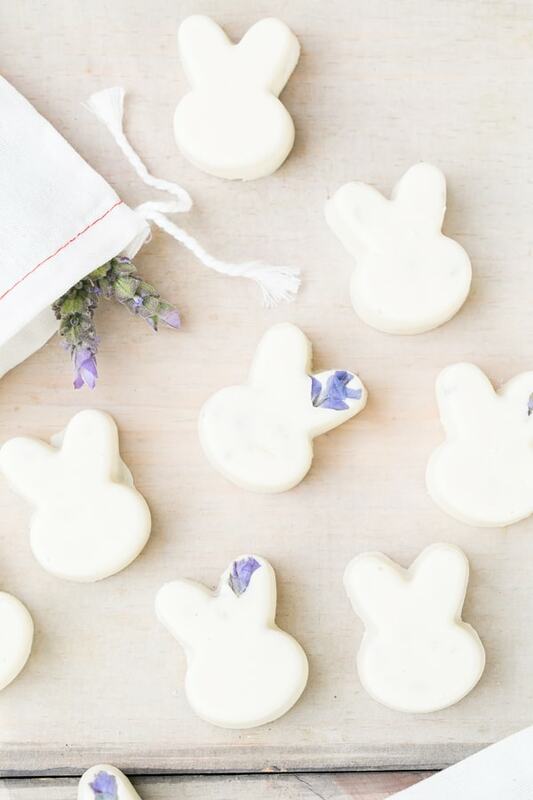 We added little flowers near the ear on some bunnies before we poured the chocolate and they turned out cute! And that’s it! We also made dark chocolate almond butter bunnies too that were delicious! Enjoy! So cute! They look absolutely delicious! I would love to see these hippety hop across my Easter table. So precious! I’ve a weakness for bunny shaped things.